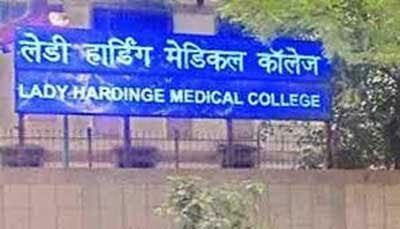 New Delhi: The construction work for a block at Lady Hardinge Medical College (LHMC) in the national capital has been terminated as the agency involved abandoned the site leaving the work midway, the Centre said. “The construction work for hospital block of Lady Hardinge Medical College including cancer centre, emergency block, OPD block, IPD block and academic block has been terminated as the agency involved in construction work has abandoned the site leaving the work midway. “70 per cent of the construction work is still remaining,” Minister of State for Health Faggan Singh Kulaste said in response to a written reply to a question in Rajya Sabha. He said that proposal for completion of the remaining work has been prepared. “Though incompletion of work has delayed operationalisation of some new departments, one of the main objectives behind the project was to provide 27 per cent admission to OBC as per the Central Education Institutions (Reservation in Admission) Act 2006 which has been given effect to,” the Minister added.